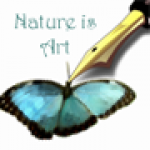 Writing ForumContest Archives2012 Contest ArchivesDecember 2012 Contest - What Decemb… December, Month Of Transition. Winter is in sight, and December soon to be. glide down from the heavens. of the elements; that marks the upcoming end of a past tense. The death of a year. changed. It held happiness, pain, a chance to live, a time to die. not of despond; for those who believe. much of the summer life, sleeps till morning spring. But no matter what day it may fall, it is still Xmas snow to me. is glorified unique in all its wonders. The death of a year." Snow washes away all of the old and renews the air and the Earth. It is symbolic of the death of a year but the renewal and sign of things to come. There is hope with the end of this year and hopefully prosperity to all with the beginning of the next.